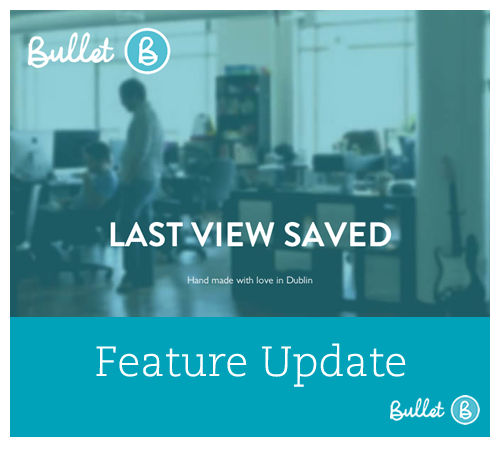 We’ve had a good view requests from both heavy users and light users of Bullet for their ‘Last Listings View’ to be saved. This becomes really handy for the following activities. Below we have a little animation showing you how simple it is, like always with Bullet it’s a feature that you don’t have to control but that learns how you work. What feature would you like most to see?